I’ve just finished migrating all my older wedding galleries to my new site, which makes for a lot easier viewing. I’ll be posting a few photos from those weddings here now. This is from Sharisse and Chris. 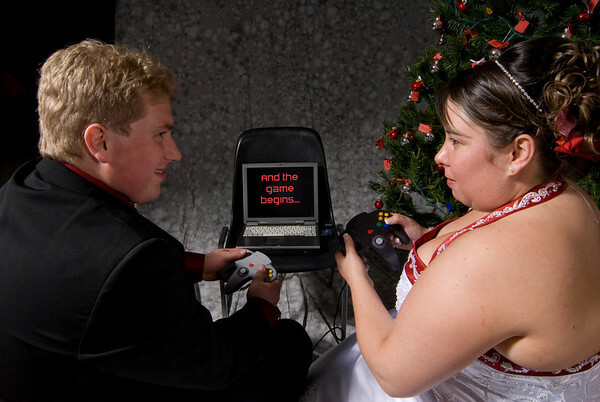 They were married on a -30 C day in December, 2007. The photos were obviously taken indoors. When I asked them what they like to do together, the answer was board games and computer games. So we got together a few props and made it a game night. Click on the photo to be taken to the gallery.